Online registration for The 21st Annual Family Cafe is now open! 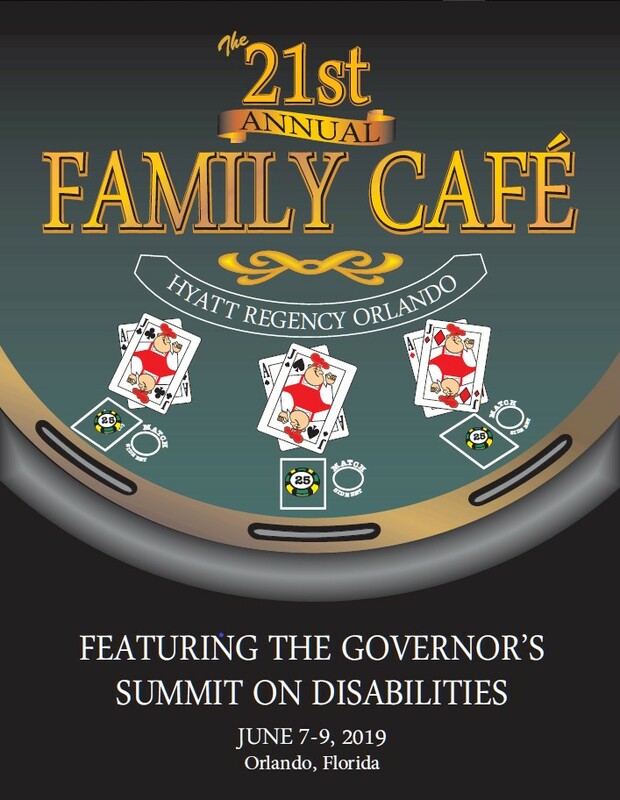 The Family Cafe invites you to attend Florida's premier event for people with disabilities, The Annual Family Cafe! The Annual Family Cafe is the nation's largest cross-disability event. Last year's 20th Anniversary Family Cafe attracted some 11,840 participants! Since 1998, The Annual Family Cafe has brought together thousands of individuals with disabilities and their family members for three days of information, training and networking each June. With a great range of individual breakout sessions, a packed Exhibit Hall with dozens of vendors, and a series of special events including Keynote speakers and The Governors’ Summit on Disabilities, The Annual Family Café offers families exposure to a wide range of public and private resources, opportunities to find support by networking with other families, and unprecedented access to policy-making officials. The 21st Annual Family Cafe will be held on June 7-9, 2019 in Orlando. We hope to see you there! Register for The 21st Annual Family Cafe here. You can find the registration brochure for The 21st Annual Family Cafe here. Please feel free to reproduce the brochure and share it with people in your community. The event program for The 21st Annual Family Cafe will be available in May. To get a sense of what to expect, check out the full program for The 20th Anniversary Family Cafe here. The Family Cafe remains committed to connecting attendees with information and resources at minimal cost, so there is no registration fee for individuals with disabilities and their family members. The Family Cafe also offers limited financial assistance to provide for the cost of hotel accommodations on-site at The Annual Family Cafe. Attendees can request assistance as part of the registration process. Financial assistance is distributed through a lottery process; whether you register online, by mail, or by fax, your odds of receiving assistance are the same. All available financial assistance has been distributed at this time. The deadline to request financial assistance was Monday, April 1st. The 21st Annual Family Cafe will be held at the Hyatt Regency Orlando. Rooms are available at the Hyatt at the special event rate of $129/night. In the event that the Hyatt Regency Orlando is full, you can make a reservation at the special event rate of $124/night at two different overflow hotels: The Rosen Centre, which is directly across the street from the Hyatt, and The Rosen Plaza, which is 1/4 mile north of the Hyatt on International Drive. Contact The Rosen Centre at (800) 204-7234 and The Rosen Plaza at (800) 627-8258. For regular updates and additional information, please join our mailing list . 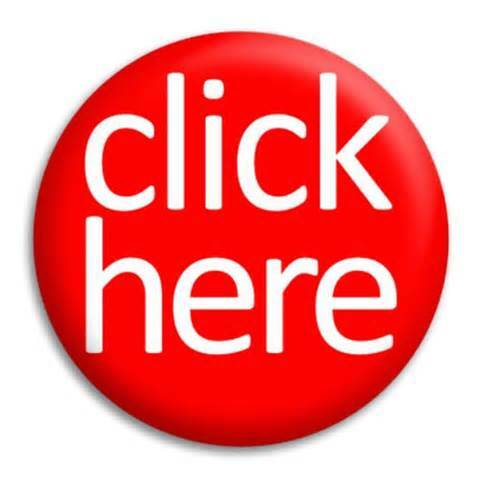 You can also like us on Facebook and follow us on Twitter to stay in touch. The 21st Annual Family Cafe promises to be a truly remarkable event for Floridians with disabilities and their families, and we very much hope you will be able to attend! The Family Cafe is pleased to announce that the "Let's Talk!" Legistative Conference Call series has returned for 2019! With a new governor and new leadership in both the House and Senate, this is sure to be an active state legislative session, with many competing priorities being debated at the Capitol. 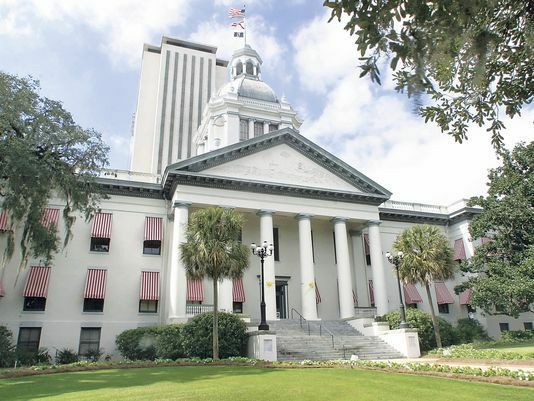 Now is the time for advocates to tune in, and start paying attention to the decisions being made in Tallahassee that will impact the lives of Floridians with disabilities throughout the state. To help you stay on top of every development, The Family Cafe is once again hosting a weekly "Let's Talk!" Legislative Conference Call every Friday throughout the 60 day session. Please note that there will not be a call on Good Friday, April 19th. Join us for the next "Let's Talk!" call on Friday, April 26th at 4:00 ET. Call 888-585-9008 and use conference room number 521-148-484 to join the call. An audio recording of the April 12th "Let's Talk!" call is online here.. You can also find recordings of all of the "Let's Talk!" calls online here. It's our belief that people with disabilities should make their voices heard in the lawmaking process, and the first step to getting involved is to know about the issues and where they stand. Make sure you're informed by learning about the latest developments on the "Let's Talk!" Legislative Conference Call! 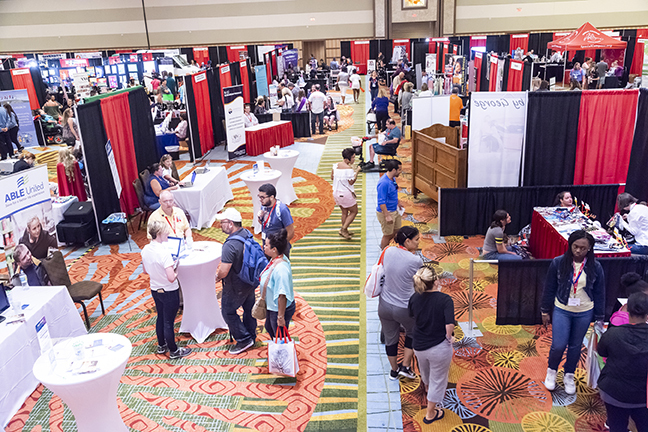 Exhibit space is now available for The 21st Annual Family Cafe, to be held June 7-9, 2019 at the Hyatt Regency in Orlando! The Annual Family Cafe is the ideal place to connect thousands of people with disabilities with your product, service or resource. It brings together an remarkably large audience of families, all of whom are searching for ways to improve the quality of life for their loved ones with disabilities. Last year's event attracted more than 11,840 registered attendees, and The 21st Annual Family Cafe is sure to draw an equally large crowd. To reserve your place in our Exhibit Hall, simply complete the Exhibitor Form and send it to us by fax or email. Space is also available for Micro-Enterprises. A Micro-Enterprise is a small business owned and operated by a person with a disability. To see if your business qualifies, and to reserves space, see the Micro-Enterprise Form. We'll look forward to seeing you in Orlando in June!